The tenth edition of Crankworx Whistler wrapped up its ten-day festival this past weekend with the Red Bull Joyride at the Whistler Mountain Bike Park on August 17, 2013. The festival features the best in downhill, slopestyle and enduro mountain bike riding. The Red Bull Joyride, one of the festival's anchor events, pushes the boundaries of slopestyle mountain biking. With a $25,000 top prize at stake, Whistler's Brandon Semenuk reclaimed the podium's top step for the second time (the 22-year-old also took top honors in 2011). Sweden's Martin Soderstrom placed second, while Sam Pilgrim of the UK was third. Anton Thelander of Sweden was honored with the Breakout Award. Semenuk took a fall on his first run, saying it was a flashback to the two previous years. "Having bailed on the same trick, I was able to regroup and shake the nerves going into my second run, and that really paid off," said Semenuk. His second run was the cleanest and most technical of the day, earning him the highest score in Red Bull Joyride history. 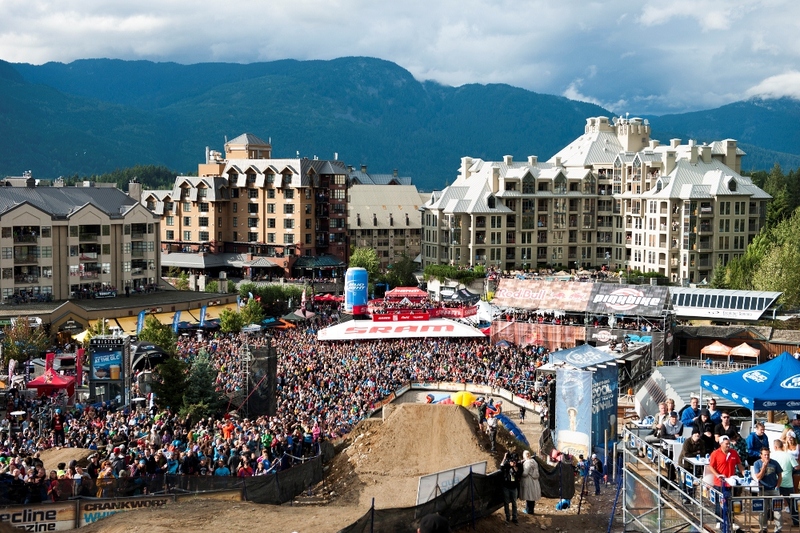 Whistler's Red Bull Joyride course was new this year, a design that combined elements of dirt jumping, slopestyle and classic North Shore mountain biking. It included a dozen "trickable" features, which Semenuk described as "good size, but not so big that you couldn't do your biggest tricks." The course catered more to technical riders than speed demons, which allowed more time for the riders to set up their tricks and complete numerous runs from top to bottom. Eighteen athletes competed in front of more than 25,000 spectators, one of the largest turnouts for any single event in Whistler's history. Red Bull Joyride is part of NBC's Red Bull Signature Series, featuring the most progressive and innovative snowboarding, mountain biking, freestyle motocross, ice cross downhill, skiing and BMX events. 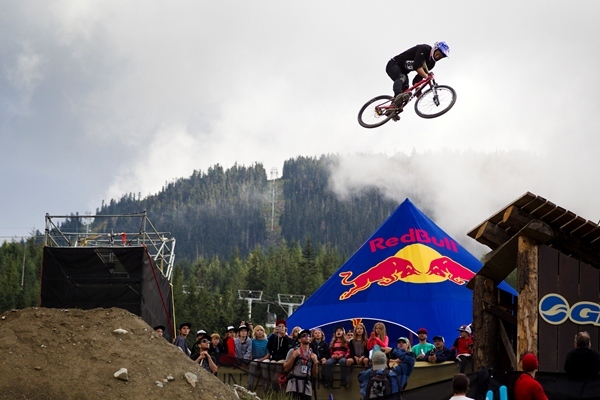 This year's Red Bull Joyride event from Crankworx Whistler airs September 7, 2013 at 11 AM (PST) on NBC.